Curiosity was Benjamin Franklin’s Secret to Success. So far, the month of October has been one of the most pleasant in years. For many, jobs are scarce, food is higher, and the country is in hock to the People’s Republic of China. Aside from this, we can be sure of one thing: almost three of the weeks of October will be wonderful. This is according to Benjamin Franklin's “Poor Richard's Almanac.” The month of October always has exactly 19 fine days (Today is the 22nd, have we used up the good ones yet?). Old Ben went out of his way to help folks and make a shilling as well. 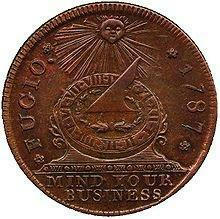 American's first penny was designed by Franklin with the timeless advice: "Mind Your Business." Ben was a believer in seizing every opportunity to learn more about the world and improve it as much as possible. He was one of the first to write self-improvement books. He felt everyone could use some moral enhancement. As the United States first Postmaster, he spent his life finding ways to unravel mysteries of science. As a printer, diplomat, inventor, philosopher, civic leader and a part-time founder of the United States. He was anything but lazy. Ben Franklin grew up poor and had very little formal schooling. Yet he became a diplomat (the French loved him, so said some ladies), a very successful businessman, civic leader and revolutionary. He was filled with curiosity. The colonial governments, before the American Revolution, used money printed by Ben Franklin. To protect from counterfeiting, one side of the bills had images of real leaves, carefully printed one at a time. 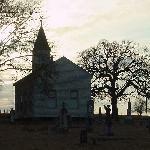 His lifetime stretched most of the eighteenth century, from 1706 to 1790. He would have been named the man of the century but Time Magazine had not been invented. Among other things, “The United States of America” is micro-printed on the lapel of Ben's coat. A second portrait of Ben in the form of a faint watermark is embedded in the paper. Ink in the lower right-hand corner numeral changes from green to black when viewed from different angles. I did not get this information from an original source as I have not seen a hundred dollar bill lately. I confess I got this information from a book, not the Internet. The Web did tell me a Mars Rover was named “Curiosity.” It's strange that people aren't more curious about curiosity. It's a powerful thing. Benjamin Franklin would never say “curiosity killed the cat.” Curiosity solves problems.